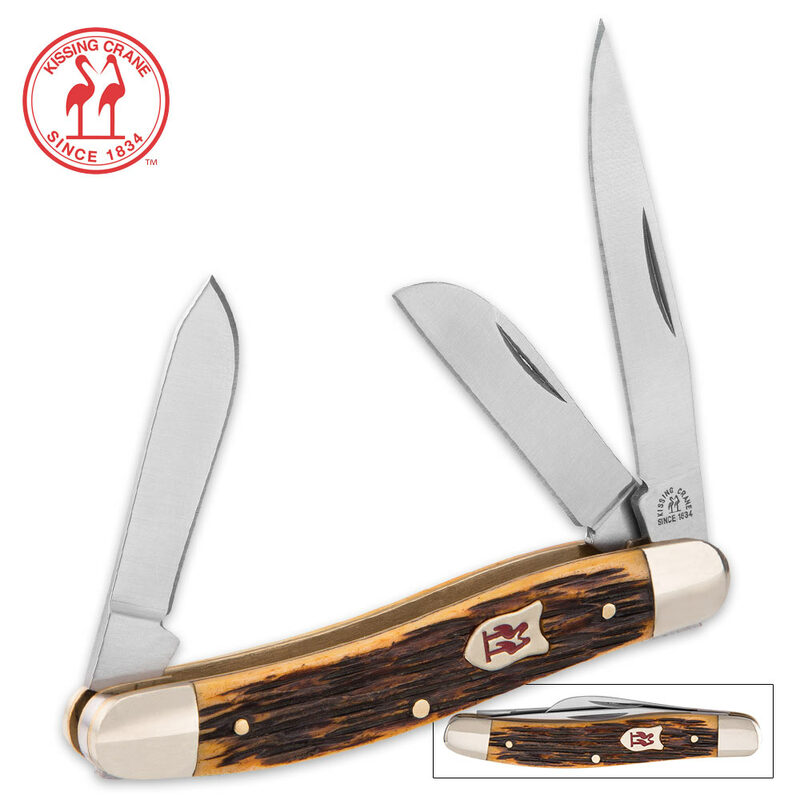 Kissing Crane Amber Bone Stockman Pocket Knife | BUDK.com - Knives & Swords At The Lowest Prices! 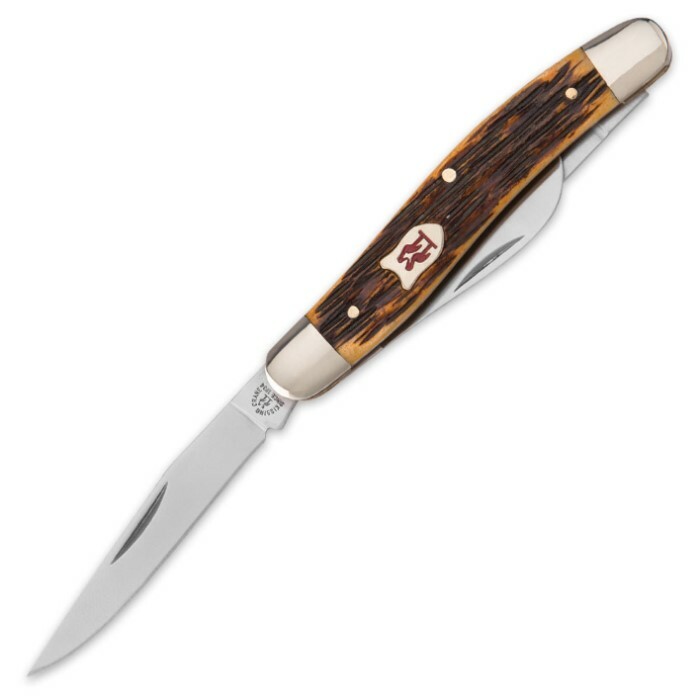 New to Kissing Crane’s collection of phenomenal pocket knives, the Amber Bone Stockman is a knife that you will be proud to carry. 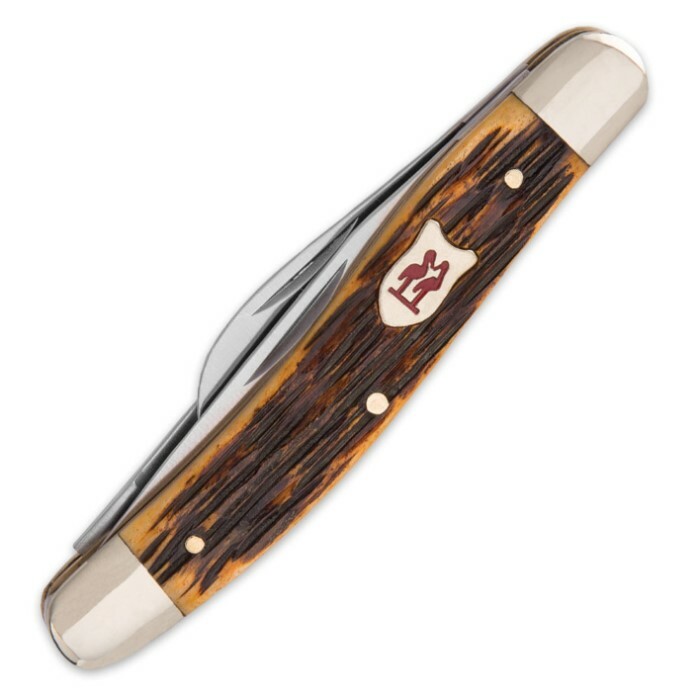 It continues the tradition of excellence with its beautiful amber bone handle. The blades are of rust-resistant stainless steel and it features nickel silver bolsters and a brass liner. If you don't already have a Kissing Crane masterpiece, start with this one today! I got two of these on a bogo deal and that's sweet with free shipping. I've always liked Kissing Crane knives, even after they farmed it out to China. They still use decent steel and these knives came to me super sharp! The main blade tapers to a slender tip which is great for getting out splinters and fine intricate cutting. The other two are stout enough for general cutting chores and whittling. This is my everyday carry knife now. My old pocket Farmer was just a bit too big. I never notice this one in my pocket until I need it and it's always there! Thanks Budk for another great deal on an excellent knife!